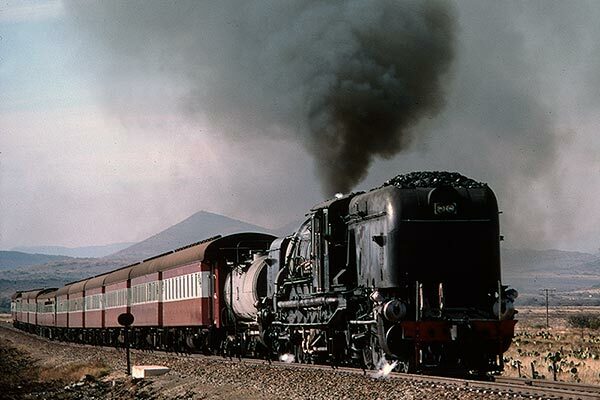 Caption - South African Railways (SAR) GMAM class Garratt 4059 storms uphill with the Johannesburg to Mosselbaai passenger between Erin and Dwarsvlei on the northern approach to the Lootsberg Pass. Taken in June 1978 Garratts had only recently taken over these duties from 19B and 19D class 4-8-2's. Note the twin dining cars with low arc roofs half way down the train where a good meal was always available.